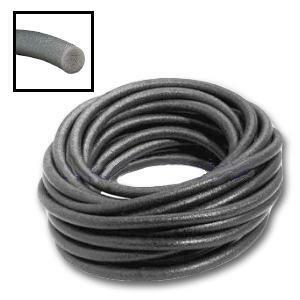 PRODUCT: 1/4 inch Diameter Poly Backer Rod, Closed Cell Foam with a Non-Stick Skin. Color could be Gray or Charcoal (not selectable). 2500 Feet/Carton. Price/Carton. SIZE: 1/4 Inch product is oversized slightly, and can be up to 0.330". It compresses up to 60%. Select a backer-rod diameter that is approximately 30% larger than the width of the joint, but not less than 10% of the widest area..
2. To install, compress backer-rod into the joint before sealants are applied. Install backer-rod using a blunt tool or a plain faced roller.